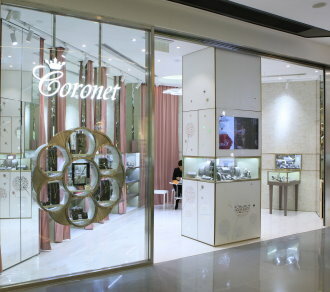 Coronet® is the signature brand of Aaron Shum Jewelry. With its worldwide patented design, each piece of Coronet® made from 7 high caliber diamonds set WITH NO PRONGS holding the center diamond, along with precision of cut, symmetry and polish, which attribute to the best fit proportion to conceiving a luminous solitaire diamond effect yet at exceptionally competitive value. Thus, this patented Coronet® technique stands out above any other similar products on the market.